PRE-ACTIVATED SIM CARD with 3 months of GPRS cellular service and 3 MONTHS of Online Tracking Subscription. You can extend your GPS Tracking Service, $90 for 6 months and $120 for 12 Months, you can also call to ask about our promo offers. The RGT901 is excellent for Tracking a Vehicles (especially motorcycles), // Updates every 20 secs when Vehicle is moving. Goes to sleep when vehicle is parked for 1 minutes or more. Displays last location before going into Sleep Mode. Access anytime via text. 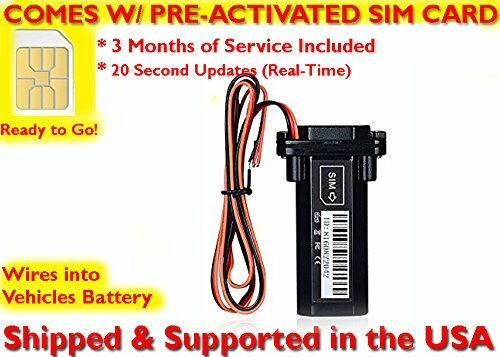 Wire to car or Motorcycle battery, GPS's Internal backup battery will operates tracker up to 4 hours without car battery.